With the rate of crime steadily increasing all over the world, there is little wonder that security is becoming a major concern for people everywhere. Burgeoning crime victimizes people and destroys their peace of mind. Installing security cameras at different strategic locations in your facility could be an effective way of keeping a close watch on the people and the goings-on there. Whether it is your home or your office that you want to secure, security cameras could be your best allies in this cause. 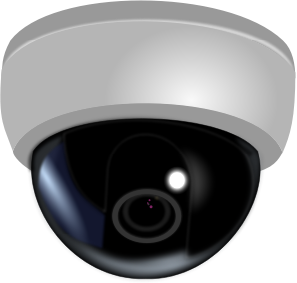 When choosing security cameras, you might get confused between the two main types – wired and wireless cameras. What are the major differences between the two, and which ones should you pay more attention to? With this post we aim to answer these basic questions. Once you understand the fundamental differences, you should be able to pick the type of security camera that suits your needs the best. Wired security cameras cost less compared to their wireless counterparts, but are also known to require a more elaborate and complex installation process. Wireless cameras, on the other hand, may cost more but are relatively simpler to install as they do not come with multiple wires and cables. They cost more, but the prices of these cameras have been going down steadily. Wired cameras are powered by electricity and hence need to be fixed near an electrical source for a continuous power supply. Wireless cameras operate on batteries and do not require an electrical power source. Do note that the batteries may have to be replaced several times a year to enable the camera to function optimally and constantly. Wired security systems involve the use of sensors, which are installed on windows and doors. Each of these sensors is connected to the main panel of the system through wires. If you find the sight of multiple wires dangling on your walls to be ghastly, you can have them placed behind the walls and under the carpet. This may, however, require making physical changes to the property. If you want to install other security systems and accessories like surveillance cameras or motion detectors for extra safety, you can do so by having them hardwired to the main panel. Similarly, keypads and other accessories can also be connected as and when needed to keep your security system upgraded. A wireless security system needs minimal wiring, and hence spares your walls and flooring from any drilling or ungainly looking wires spoiling your décor. And just like in the case of wired security cameras, the wireless variants are also connected to sensors, which are placed on windows and doors. The difference here is that instead of being physically connected through wires, these sensors send audio and video signals to the main panel over a wireless transmitter. Keypads, motion detectors, surveillance cameras, and other accessories can also be used by connecting them to the security system’s main panel. The exposed wires may be susceptible to meddling and damage by mischief-mongers. Apart from that they may also fall prey to the elements and become defunct over time if located outdoors. Burglars may also fiddle with the exposed wires and disconnect/cut them off, defeating the purpose of having a security camera. Wireless cameras are susceptible to signal loss or interferences due to extreme weather conditions, and interference from other operational electronic appliances like computers, TV, cellphones, etc. Once the signal is lost/disturbed, the camera can pass the feed on to the wrong device, or simply stop functioning. Such issues render it useless. Several wireless security cameras do need to be connected to a power source to function. So despite having wireless transmitters, they still aren’t exactly wireless. This can, however, be overcome by using an adapter that allows the camera to run on batteries. Newer models come equipped with this feature. Unless fool-proof measures are taken, Internet-enabled cameras are prone to getting hacked or remotely compromised, which can enable other people to control your cameras and invade your privacy. With the basic differences between the wired and wireless cameras out of the way, here are a few types of cameras you can consider for personal or business use. Bullet cameras are commonly used in homes, small retail outlets and offices. They are mounted on walls and ceilings, and can be easily detected, making it easy to determine where the camera is directed and what it is recording. Dome cameras can be used indoors as well as outdoors, and are perfectly adequate for monitoring larger areas. It is not easy to tell where the camera is pointing as one cannot see inside the dome. Black and white cameras may sound passé but they have their use. They come in handy when recording in low light and are less expensive than colored cameras. Colored cameras are most effective during the day and the screen resolution makes it easy to differentiate between multiple items in the feed. These are wireless and very small in size so that they can be hidden away easily. A hidden camera can have many uses. Couples use them to keep an eye on their kids’ nanny/babysitter, suspicious spouses install them to spy on their other halves in their absence, and employers use them to monitor their staff and productivity. Tempting though such a camera may sound, the law requires you to inform those in your premises of the presence of hidden cameras, or their installation can be interpreted as an invasion of their privacy. Check the laws of your state to know where you stand on the matter. These cameras are meant to be used in areas that are not adequately lit or do not receive sufficient lighting. Thanks to the infrared technology, these cameras can record and capture clear footage even at night. They can be used indoors as well as outdoors. The great thing about these cameras is that not only do they capture clear footage during the day, but that they automatically switch over to the infrared mode as darkness descends. Those looking for clear recordings 24x7 through a single camera can benefit greatly from this one. The upside of these cameras is that they are extremely convenient to use, as they let you view the recordings from your computer, tablet, smartphone, or other devices from any location. The downside is that you will need to be extra careful with your Internet security when using these cameras as they are vulnerable to attacks by hackers, who can control and stream the captured footage. Make sure you use strong and complex passwords as a precautionary measure to mitigate this threat. If you need to zoom in and out with your camera frequently, then you would do well to install one with a varifocal lens. This lens allows you to magnify/minimize the footage without changing its focus. As the name suggests, dummy cameras are decoy cameras that look as good as the real ones, and are installed to make it seem as though a particular area is under surveillance. They do not capture or record anything, but their mere presence is enough to alert and warn crooks, thereby making them helpful in deterring instances of crime. Those who value being safe and secure, will benefit immensely from installing the right kind of security cameras in their home/business establishment. The above details should provide some clarity and help you make an informed decision when choosing a camera.